got lots of balls in the air and i'm doin all this juggling to make sure it all works out. i can't even imagine if i have kids right now. i did manage to do some warm up sketches before the boring administrative work began. btw, if ur thinkin u wanna work from home and be a freelance artist, do it! BUT be prepared to do lots and lots of boring work along with it, like emails, contracts, and taxes (yikes!). comes with the territory. 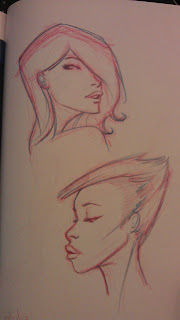 btw, if i haven't mentioned it before, i use "models" from photos when i do these warm-up sketches. the models are there for me to learn from. some artists are blessed with live-action drawing sessions wherever they live but that's not happenin for me. so the internet is my very best friend. 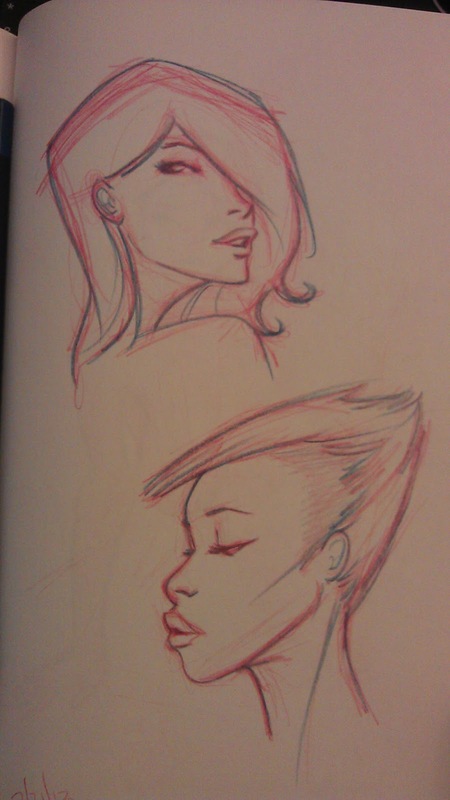 most of my warm-up sketch "models" are from a fellow artist's fantastic tumblr page bombatomically. if u need reference on gorgeous women of varying sizes and ethnicity, he's got loads of great stuff on there. Get daily suggestions and instructions for making $1,000s per day ONLINE totally FREE.